Nice video showcasing the Google Design Sprint we held back in April with our GDG, right before DroidCon Montreal. It was announced this morning that the Canadians will be playing Wednesday!! Our reservation has been changed for Tuesday the 5th!! Google I/O extended: Who’s going to the extended event at Google Montreal? Post-Google I/O Meetup: When should we meet to show-and-tell? Questions for the I/O crowd: Share your burning tech questions with the team, we’ll try to find answers for you. Yucef developed a passion for Android development two years ago, and has since built a strong understanding of the full stack Android development process. For efficiency and consistency, he strictly adheres to Google’s developer and design guidelines, Google Play Developer Program Policies, as well as sound object-oriented-design principles. You can find Yucef on LinkedIn. The talk is about how I became a happy Android developper with Mortar, Flow and Dagger 2. I won’t go into the details of how to implement those 3 libraries, as one talk wouldn’t be enough. I will give my feedback, the pros and cons, the overall picture of how things work, etc. Get your tickets on Eventbrite, places limited! DroidCon Montreal and GDG Android Montreal proudly present Design/Hack. form ad-hoc teams, design an app concept and build a prototype using ‘off-the-shelf’ services and APIs. from expert mentoring and advice throughout the day. if you want to get the most out of the day. explore new ideas, and go from concept to prototype in record time. will review your progress and give you pointers and hints to bring your idea to the next level. Our meetup this month will be at McKibbins. With DroidCon Montreal coming up very soon, we have a packed line up! April 8th: Special Android Arduino talk by Jenny Tong , Developer Advocate for Firebase & Google Cloud Platform. TBD: Pre-DroidCon Hackathon, sponsored by Desjardins. What happens when your Android mobile device does not have a network connection? That device will have no content, no experience and the amazing application that you spent so much effort to build just simply will not work. This talk would be around the implementation story of creating offline and online applications on Android Mobile. The journey begins with NoSQL database modeling and what we can do with a NoSQL technology for mobile. The session will go through how to create data object model relations, design for performance in difficult areas with no signal, and how to develop a local Android NoSQL datebase that syncs to the cloud. We will go over code on how to have your mobile application function offline without relying on the network. You will gain knowledge in NoSQL databases technologies and walk away with insights on how to create offline type of applications that to sync to the cloud. Couchbase Mobile is a thin client library that would help developers with their mobile projects in creating a local data layer for offline user experience and will provide fast sync capabilities when there is available network connectivity. In this talk you will have an introduction to what will be presented at Droidcon Montreal about Spannables http://www.droidcon.ca/speakers/36. William is a Developer Advocate on the Mobile Engineering/Developer Experience team at Couchbase. His love for coffee and code has transcended him into the world of mobile while appreciating the offline in-person experiences. Prior, William worked on the Developer Relations team over at Twitter, BlackBerry, and Microsoft while also having been a Software Embedded GPS engineer at Research In Motion. Mike is a senior software architect with over 20 years of professional software development experience. Five of those years relating specifically to Android. During those years, he has developed a passion for Android and a rich knowledge of its APIs and inner workings. Eric is a software developer at Mirego, where he started working on Android apps in 2012. He has contributed to many interesting projects and developed a passion for optimizing application development through choosing the correct tools and approaches. 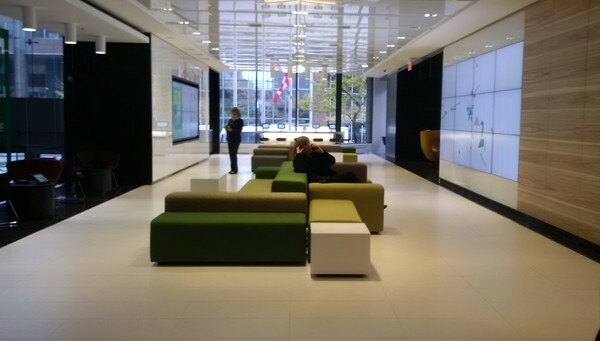 François is one of the mobile gurus at Bell Canada. He jumped in the Android bandwagon in 2009 when segmentation was just a mere theoretical concept on Android OS. He’s also co-organizer of the GDG Android Montreal. Laurence de Villers is a young rising star in the mobility business and currently works at Bell, she can produce a app faster than you can think of a title for it. Marcos is an Android Craftsman at Mirego. He’s working with Android since 2010 and he already had the opportunity to speak at big conferences like The Developer’s Conference, DevFest Sao Paulo and now most recently at Droidcon New York. We’ll have a talk on mobile security by Mohamad Elserngrawy and a talk on drawables and UI by Marcos Paulo Damasceno. 18h15: Welcome, announcements, present your startup, etc. 20h30: Wrap-up, food and drink with the gang at a TBD location. Firebase Developer Advocate visit, tentative date: 8th of April. The topic abstract: I will present a new screenshot attack CaptureMe to expose the user credential (Card ID and password) from mobile banking applications on Android platform. Words about me: I’m a Researcher and Software Engineer has 8 years of experiences in software design and development. In the last 3 years I focused my research on mobile platform security especially with Android platform. Talk description: A very useful and powerful feature of android that developers sometimes ignore or use it wrong. The small details of your app is what make it amazing, in this presentation we will talk about how Shapes, Layer-Lists and more can make your UI jump to another level and amaze your users. All that without being a rockstar designer! Bio: Marcos is an Android Craftsman at Mirego, one of Canada’s fastest-growing companies. He loves simple and beautiful UX and UI and has his attention always focused to small details and what makes mobile apps great. A passionate about Start Ups, Marcos already attended to many start up weekends and hackathons in Sao Paulo, San Francisco and Montreal and currently serves as a mentor for some successful brazilian apps. He has been playing around with mobile since 2010, worked in many significant android apps for the brazilian market in the backend and mobile stack. Marcos already had the opportunity to speak at big conferences in Brazil like The Developer’s Conference and DevFest Sao Paulo. Marcos moved to Montreal in 2013, where he led the development of a big consumer’s product android tablet app currently used by Sony US and now do great stuff with an amazing team at Mirego. I’d like to say a quick thank you to everyone who volunteered to give a talk over the next couple of month, we’ll be contacting you this week to try and schedule the February and March lineups, and give you a chance to prepare. If you are interested in giving a talk, please reach out to Etienne or one of the other organizers and we’ll add you to the upcoming lineup. I personally received a lot of positive feedback during the Meetup for the idea of organizing App Design Workshops, and to explore some mobile-friendly Client-Server Architecture setups. We also had Aurore visiting from Nurun, another interesting company, who are currently looking for senior Android developper. See the posting here. Find out more about Nurun here. Who’s invited? If you’re an undergraduate from any university, from any country, you’re welcome! Proposed: last Wednesday of each month. “An App for Grandma” operates continuously and autonomously, it requires no input from the user (typically an elderly person unwilling to press any buttons). Display the time in the Action Bar to 5 minute precision……. Debugging aid for coping lots of enums by getting the names of enums into the debug log. Question getting from static functions to non-static methods in an Activity? Recent studies have consistently shown that latencies in the order of a 100 milliseconds can have fairly big impacts on usage patterns. Worse yet, the effects of latency exposure tend to linger on. Once your users are exposed to it, it can take weeks before they go back to their original usage pattern! This highlights how important it is to optimize your UI. Thankfully you have multiple tools on Android that can help you achieve this. In this session, we’ll look at the Hierarchy Viewer and how to use it (and some other onboard debugging tools) to create truly responsive UI and UX. We’ll also take a look at the basics of Custom View creation, and how to define custom-made XML attributes to leverage the Android Interface editor. This month we have two exciting presentations, and lots-o-beer! Our usual location (Notman House) is unable to accommodate us so this month we are going to be happily hosted by Brutopia, a popular brew pub located downtown at Metro Guy-Concordia. Note, we will start at 6pm (presentations start at 18h15) to accommodate the happy hour crowd. Contrôler ses écouteurs Bluetooth avec sa montre : débuter avec des interactions simples sur Android Wear en respectant les design guidelines. In this talk we will show you can test image heavy, and/or legacy/hybrid android apps using OpenCV (computer vision) and Sikuli. 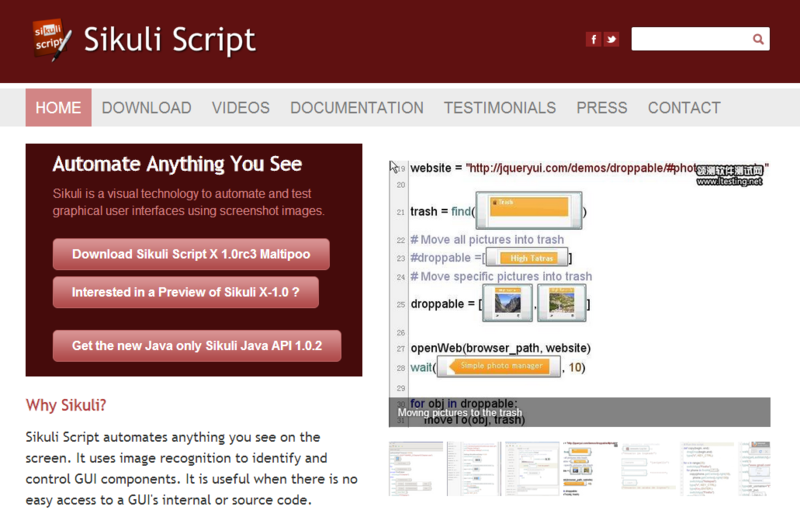 Sikuli is a framework which automates anything you see on the screen. It uses image recognition to identify and control GUI components. It is useful when there is no easy access to a GUI’s internal or source code, or writing tests crosses layers of technologies ie in a Cordova/HTML5 app running in a webview. Une startup locale à la recherche de talent. Bonjour à tous, des amis du club sont à la recherche de développeurs mobile, faites passer le mot. APPCOM est à la recherche de développeurs mobile IOS et/ou Android! Tu aimerais t’ajouter à une équipe de feu? Nous sommes une entreprise spécialisée en développement de solutions novatrices dans le domaine du mobile et du web. Notre équipe se compose de passionné(e)s qui repoussent constamment leurs limites au cœur de projets intéressants et motivants. On aimerait en trouver d’autres comme ça! Pour toute information, tu peux contacter Jean-Christophe par téléphone ou courriel. We will now start at 18h on Friday. We’ll give you some sample code, food and lots of coffee, just bring your enthusiasm to learn! The DevFest is an annual event held by GDG (Google Developer Groups) around the world. Come join one of the most active GDG in Canada. Our mission is to mentor and welcome new and experienced Android developers and Android developers en devenir. or anything that strikes your fancy that you can do with an Android device. We will even have a few prizes (TBA). Join 60+ hackers on October 24-26, 2014 at Notman House, 11 Sherbrooke West, Montreal. 6:30pm Presentation Session about the event, Agenda, purpose etc.. Hoping to learn more about the DevFest? Check out our website. You can also follow us on Twitter and Google +. Have questions about the GDG DevFest 2014? Contact Us!